A very important battle within the German war for supremacy in India's luxury segment is at the entry-level. Not only does this sub-segment introduce luxury brands to new and younger customers, it more importantly, forms the lower yardstick for the brand's definition. 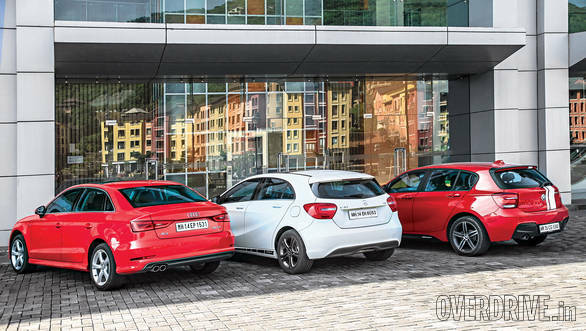 Interestingly, all three German giants have had unique approaches to this riddle  BMW beat the other two with their compact SUV  the X1 but later they followed Mercedes lead and brought in the 1 Series. Mercedes-Benz on the other hand was the first to bring a hatch to the market with their New Generation Concept Cars or MFA platform A-Class hatchback. 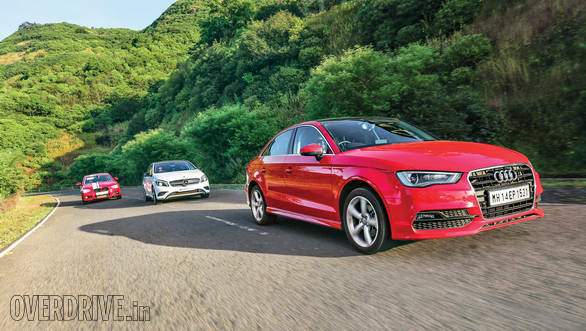 For an entry into the world of Audi you earlier needed to go through their compact SUV  the Q3 but now Audi have launched their most affordable offering in the form of a compact sedan  the A3. And in this three way match it goes up against the two hatchbacks from its neighbors. Shall we call it a friendly one then? Not a chance. Aesthetics are subjective but this once, I think most of us will agree on the better looking of the three cars. Let's start with the BMW 1 Series which is probably the least striking with its unusual proportions. The flow of the long front end is abruptly interrupted by the short and stubby rear, although a rear three quarters view does reveal a powerful stance. In this particularly handsome company, the 1 Series does look a bit dull but the optional M Performance package with the sporty bumper and racing stripe does brighten up things. The A3 on the other hand, has extremely pleasing proportions, and it bears the familiar family resemblance which could work both for it and against it. The A3, we'd have to say, looks the best when viewed from behind. Conversely, the A-Class looks absolutely gorgeous from any angle you view it from. We've said it in the past, and I'll say it again  the A-Class is the best looking hatchback in the country and is the one in the test that gets the attention that the badge on the front deserves. But then as any beauty pageant host will tell you - beauty is also about what's on the inside. BMW have gone conservative with the interior design as well which is a bit disappointing considering that these are cars aimed at a younger customer. The minimalistic A3 looks and feels much nicer and is well designed but it still lacks the zest and youthfulness of the A-Class. So if this were simply a beauty contest, I think we'd all agree that the winner's tiara would be placed on the three pointed star. 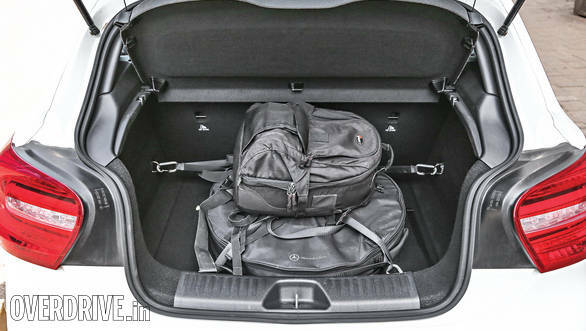 In terms of space, of course the benefit of being a sedan doesn't seem to translate into a lot of interior space for the A3. 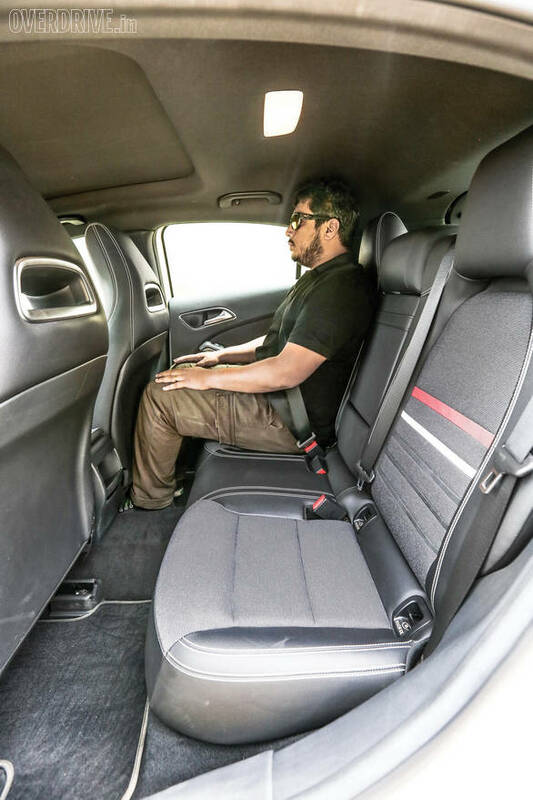 In fact both hatchbacks manage to score higher in terms of head space and comfort, with the A-Class boasting the most comfortable and spacious second row of all three cars. That said, they are still compact so don't expect lounge like space in either of them. 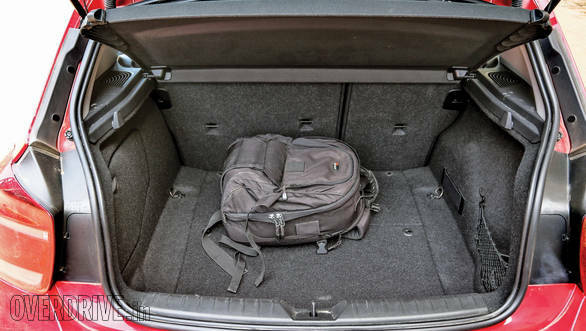 The A3 may not be the most spacious for full-sized people but you can cart more luggage around thanks to that full-sized boot. In terms of features in the top variants that we tested, things are fairly evenly matched with all three cars. They feature all the creature comforts that we're used to in their larger siblings with satellite navigation, climate control and stability and traction aids as standard. The only exception being that the A3 does not feature a sun roof in any of the available trim levels. The three cars present here are all diesels, and it's the A-Class that brings the largest capacity engine to the ring. The A180 CDi packs a 2.2-litre engine under the hood but ironically it is the most conservatively tuned of the three, putting out the least power and torque at 109PS and 250Nm. Both the 1 Series and the A3 are equally matched on paper with their 2-litre engines doling out 143PS and 320Nm. They each put this power to the tarmac differently though, with different automatic transmissions and drive setups. The BMW sports the only torque convertor but the 8-speed Steptronic is no slouch and in any of the four drive modes, the shifts are quick and precise. It also stands out for being the only rear-wheel driven hatchback in the world. The Audi and the Merc both sport dual clutch transmissions that drive the front wheels  6-speeds on the A3 and 7-speeds for the A-Class. Both feature the usual manual, sport and efficiency modes. In regular driving each of them go about their jobs fairly inconspicuously but when you do feel like upping the pace then the A-Class with its paddle shifts is the only one that allows you to keep both hands on the wheel. At this price point diesels tend to be fairly refined and with this trio, there are no exceptions to the rule. They all have fairly flat linear torque curves with no sudden turbo surges and good noise insulation that ensures the diesel clatter stays on the outside. Of all the three engines the Audi's feels like the most eager to rev and there's great throttle response from low down in the rev range. This in no way means that it's faster than the 1 Series, just more eager to get up and go when your right foot prods the throttle. The A-Class does have a very linear feel to it as well but you can tell that it will probably be slower away from the lights. When you do mash the throttle on a straight road, the BMW will cross the 100kmph mark in 8.8s, only just quicker than the A3's 9.1s and nearly a second quicker than the A-Class's 9.6s. When you're driving a compact car with reasonable dynamics and at least a hundred horses to play with, the urge to give it the beans comes quite often. Especially when your playground includes a nice twisty, well surfaced road through the hills. They're all fun through a set of curves but it's here, in true BMW fashion, that the 1 Series, with its rear-wheel drive layout, starts to shine. It loves corners and displays an almost a sportscar like agility. And even though the rear steps out when really provoked, the 143PS on tap never feels like it's going to get you in trouble. The A3 is also quite agile and handles changing direction well. It's almost as much fun as the BMW but the poor feedback from the steering wheel is its limiting factor. The A-Class is no slouch either and does have an engaging feel and a nice weight about the steering wheel. This Edition 1 has seen some changes to its dynamics that see it give up a little ground to the other two cars here, only to gain a lot elsewhere, but we'll get to that in a bit. Nothing beats the joys of rear wheel oversteer and hence we'd have to say that the 1 Series is the driver's car. 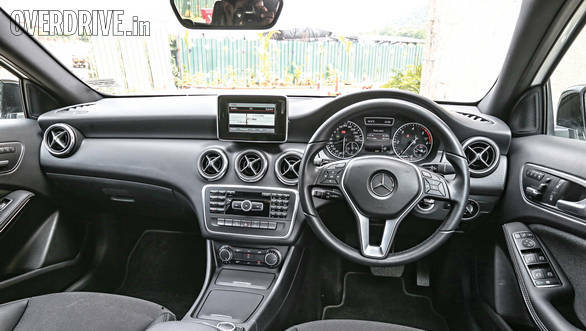 The A-Class has come a long way in terms of ride quality and that is immediately evident in this Edition 1 which has its suspension tuned specifically for India. We had bitterly complained about this when the car was launched and finally someone has listened. In fact, Mercedes seem to have reached the right balance as the set up is nowhere near as harsh as its predecessor and neither is it too soft or wallowy. The A3 manages to ride second best after the A-Class and only really bad surfaces with a succession of bad bumps upset the apple cart. The 1 Series on the other hand remains the stiffest sprung car. The ride is not unbearable but driven right after the other two, the loss in comfort is clearly felt. 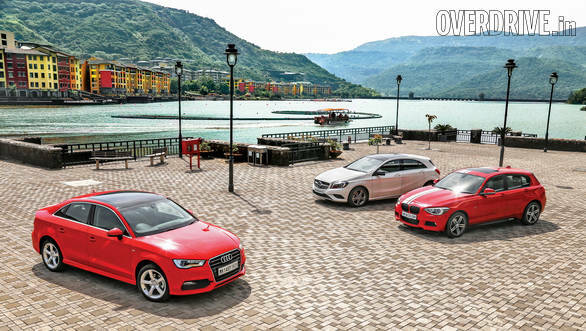 The one thing that Audi has cleverly done is introduced the A3's base variant at a staggeringly affordable ex-showroom price of Rs 22.95 lakh. And that looks like excellent value for an entry into the world of luxury cars. But the base variants skimp on too many features and the fully kitted out top end version will see the asking price rise by as much as Rs 10 lakh. 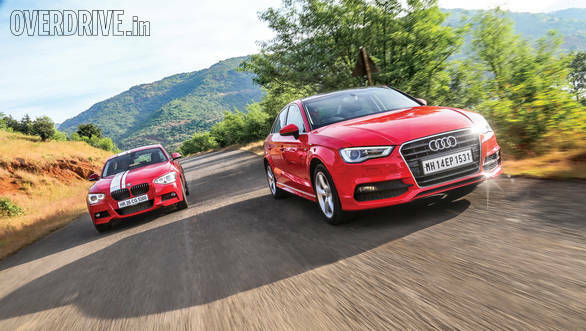 And then you see the on-road prices  the A3 35TDI Technology costs Rs 42.75 lakh post registration, taxes and insurance in Mumbai. 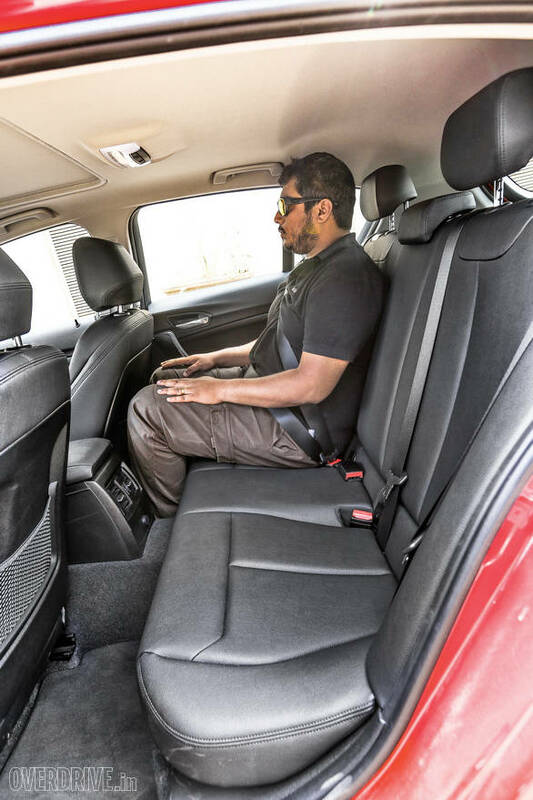 At this much of pocket change, you're knocking on the door of the larger A4 sedan that's just a couple of lakhs dearer with just as many, if not more features and a lot more space. 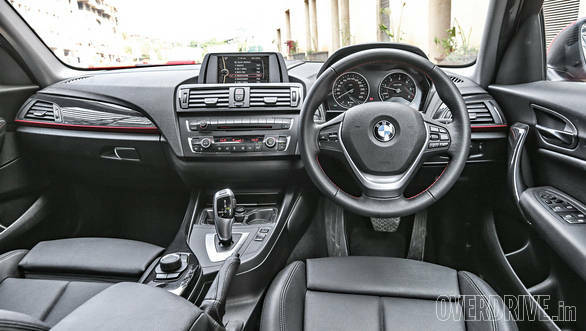 The BMW 1 Series is just a little cheaper than the A3 at Rs 40.54 lakh and while it is a truly engaging and fun car to drive, that price makes it quite a stretch for a hatchback and you'd have to live with that stiff ride in town. 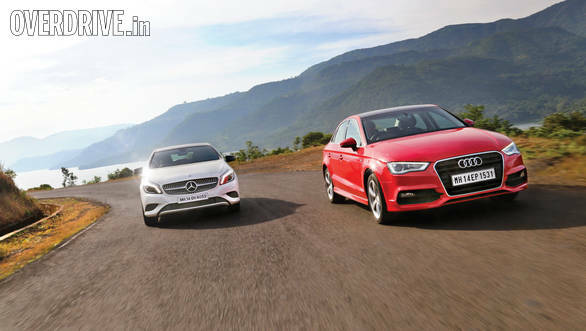 The A-Class retails at Rs 35.52 lakh on-road Mumbai, that's Rs 5 lakh cheaper than the BMW and Rs 7 lakh cheaper than the Audi, easily making it the best value proposition of the three top end variants. It's a great looking car with a presence that matches the badge on the bonnet. 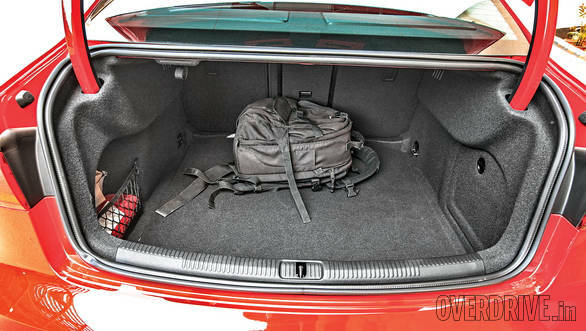 It best fits full-sized people in the rear and now also sports great ride quality. And it's this overall package that makes the A-Class the most desirable.